The aftermath of the catastrophic floods in Townsville has claimed a life, following an outbreak of a bacteria infection. Dr Julie Mudd from Townsville&apos;s Public Health Unit confirmed another 10 people were being treated for Melioidosis. "As of today, there has been a further two confirmed cases of melioidoses taking the number of cases to 10 and sadly we&apos;ve also had one death." she told 9News. 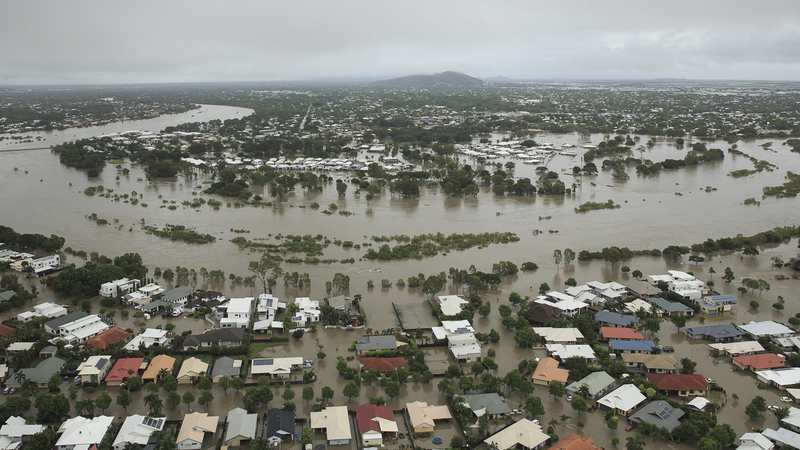 The Townsville Public Health Unit confirmed bacterial infections linked to the floodwaters that inundated entire suburbs are expected to rise. "The vital public health message has been to ensure flood water doesn&apos;t get into your body through cuts and scratches."